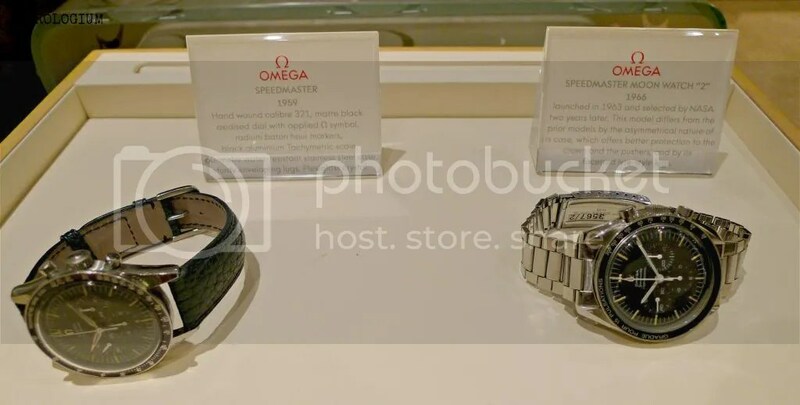 A little while ago I visited the Omega boutique in the Sydney CBD and found a few treasures that were briefly on loan from their museum collection. Knowing that many of you are Speedmaster collectors and enthusiasts, it was obviously incumbent on me to take and share photos of them with you. The Speedmaster was introduced in 1957 as a sports and racing chronograph. The first model, reference CK 2915, contained Omega’s Calibre 321, which was developed in 1946 by Albert Piguet. You can read more about this at Omega’s website. The “Speedmaster” name derived from a combination of the model’s stainless steel tachymeter scale bezel and the naming convention set by Omega’s Seamaster and Railmaster lines. 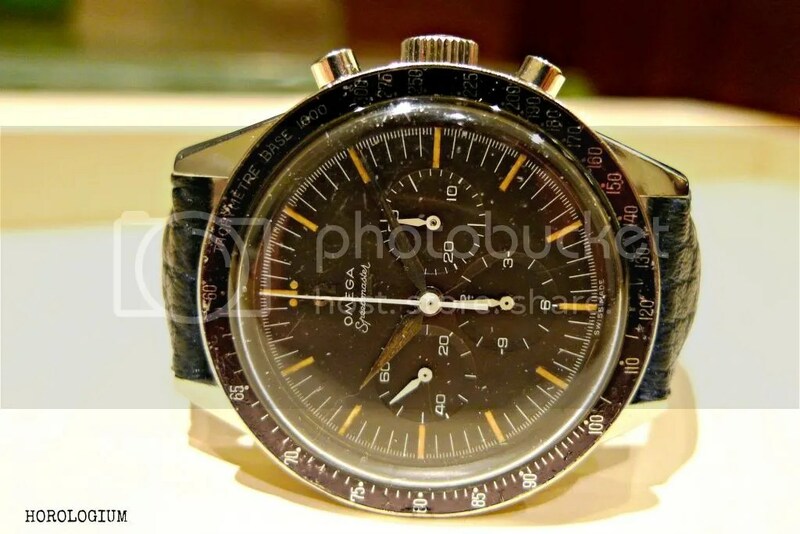 The first Speedmaster established the hallmark 12-hour, triple-register chronograph, domed Plexiglass crystal and simple indices, but it used Omega’s Broadarrow hand. Although the general ‘look’ has remained, it is the variations in details such as the name (‘Professional’), case size, case back, hands, lugs and script (and of course the movement change to the calibre 861 and now, 1861) in subsequent years which has lead to a very active collecting community around this watch. 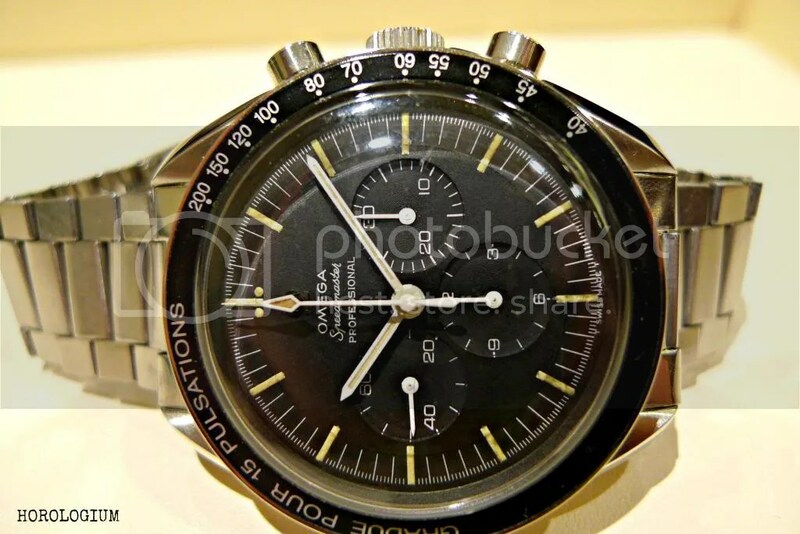 In 1959 Omega produced their second slightly modified Speedmaster, known as CK2998. The watch case was increased from 39mm to 40mm and they added a so called O-ring gasket around the push buttons. 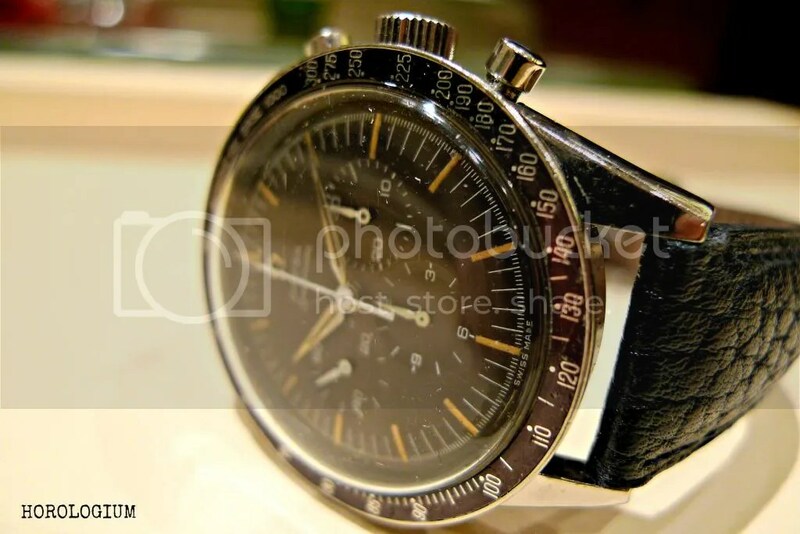 These first photographs in this post are of a 1959 ‘pre-moon’ Speedmaster, the Ref CK 2998 with calibre 321, straight (aka ‘alpha’) chronograph seconds hand, screwed case, black aluminium tachymeter bezel, acrylic glass. This 1959 model is highly collectible and rare. In contrast, this next Speedmaster is from 1966. You will note that the model has “Professional” on the dial for the first time, making this also a very collectible and desirable piece. This is the Ref. 145.012. 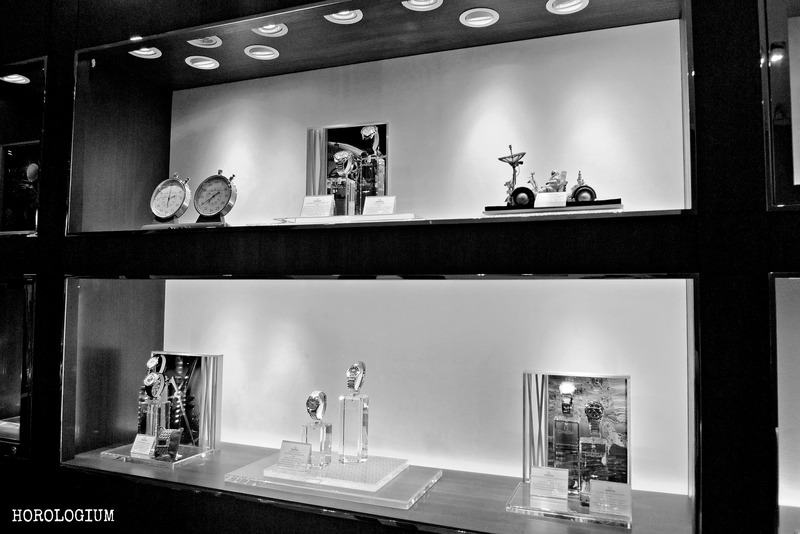 For those who are new to the minutiae of Speedmaster collecting history, or for those who simply want to find out more, this website with information from the late Chuck Maddox is the place to go. For those arriving at this post who are new to watches, the Speedmaster is so loved that it has its own abbreviated nickname – ‘Speedy’. Not many watches can make the same claim. For a look at some other Speedy related posts on Horologium, click here. i want that CK 2998 Alpha!!! LOVE at first sight!